Vista Cay Resort by Millennium is a fantastic gated community of apartments and town homes located near to International Drive, just moments away from Orlando’s world famous attractions including Universal Orlando® Resort and SeaWorld® Orlando. Apartments are spacious and modern with all of the facilities both couple and families require. Outside of your apartment you will find a community which includes a clubhouse, resort style swimming pool, kids splash pool, movie theatre and fitness centre. On an evening you’ll find many bars and restaurants just a short drive away, including Universal CityWalk. 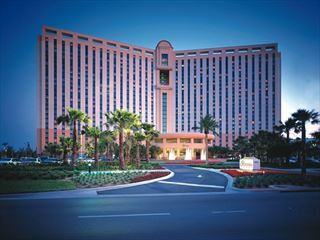 Vista Cay boasts a great location on Universal Boulevard. Situated close to the world famous International Drive which means it’s only a short drive to many great bars and restaurants on an evening. 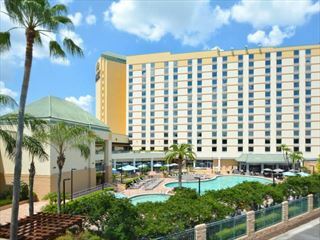 During the day you’ll find Universal Orlando Resort and SeaWorld Orlando just moments away. The resort comprises of self-catering condos which are perfect for families, away from your own apartment you will find a Kids Pool, game room and even a movie theatre in the resort clubhouse – perfect to escape the Florida sun! Please note a daily resort fee of $4.99 (plus tax, subject to change) per day is payable locally.